Writing Better Lyrics Reviews – Want to Write Songs? Do you love to write songs? Can’t get started with that “just right” lyric? 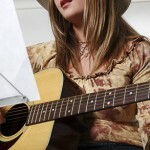 Read these Writing Better Lyrics reviews and learn how to become a better song writer. Want to be a Better Songwriter? Read the Writing Better Lyrics Reviews First! What’s New with Writing Better Lyrics? Even if you are learning music theory, writing songs is still a totally different game. Both are important and it’s finally made simple. Now this updated 2nd Edition of Writing Better Lyrics provides effective tools for generating song ideas. 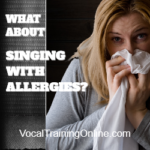 As a singer, you’ll now understand the form and function of a song to bring you ahead of the rest when composing. Next, you’ll learn how to fine tune your lyrics so you can write a creative and powerful song. and examples from more than 20 chart-toppings songs. Writing Better Lyrics gives you all of the professional and creative insight you need to write powerful words to songs and put your tunes in the spotlight where they belong. Perfect for new and experienced songwriters alike. This time-tested classic covers the basics of songwriting in addition to more advanced music techniques. What Are Others Saying? Read the Writing Better Lyrics Reviews by Actual Buyers & See! As a songwriter, I’ve always been wary of over-analyzing the magic that delivers songs to me. Some come prompted from a specific instrument, others from the sound of a note or a chord. Others arrive out of the blue, or from an experience. Mostly, I don’t set out to write songs, but rather, songs find me. So, in my mind, over thinking about this magical process has always been a taboo for me. Don’t mess with this God given gift, I’ve told myself again and again. Well, I’ve been wrong. Pat Pattison has obviously been aware of this for a long time. His book provides tools, tricks, and awareness to enhance a songwriters ideas and craft. He offers activities to evoke the creative process and templates, formulas, and good rules that one may pick and choose to use or apply to one’s songs that are just really good stuff. You don’t have to do things Pattison’s way at all, but if you want to take your craft to another level, the blueprint is here. “Writing Better Lyrics” does an excellent job of providing specific examples and tools for mastering the complex craft of lyric writing. The author extends his formal knowledge of poetry to encompass the additional elements that lyrics require, and does so in a readable, non-technical way. However, no single book can cover all the facets and nuances of writing lyrics, especially since there are so many different artistic temperaments and musical styles available. Negative Reviews of Writing Better Lyrics? I really didn’t find many reviews of Writing Better Lyrics that were negative. I believe Mr. Fillmore gave the most likely one. He says it’s impossible to learn everything about writing songs from one book. And, he’s probably right. 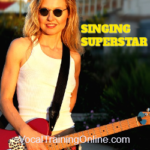 You can try other more complete courses such as Superior Songwriting to round out your knowledge. And, I highly recommend you check out this one. ==> Find details here for the complete songwriting course. I hope you found these Writing Better Lyrics reviews useful. It’s always best to learn some insight from those who have been there before you. Then you can make a better buying decision. 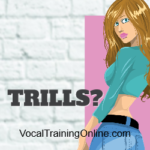 Ready to learn more about the vocal world?